Bethesda VP Pete Hines says Nintendo's opportunity to attract meaningful third-party support to the Wii U "has long passed." Nintendo is an island. This is fact. Pete Hines, Bethesda's vice president of marketing and PR, put it succinctly during an episode of Bonus Round filmed at PAX when he said, "You shouldn't have ever bought a Wii U expecting to play great Bethesda games on there, because it's not something that we have ever supported in the past." As for what Nintendo can do to turn that frown upside-down, the answer, as far as Hines is considered, is probably nothing. 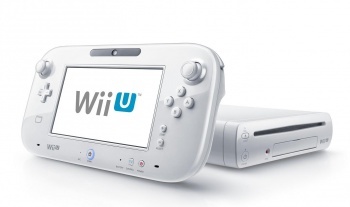 "The time for convincing publishers and developers to support Wii U has long passed. The box is out," he said. "You have to do what Sony and Microsoft have been doing with us for a long time, and it's not that every time we met with them we got all the answers we wanted, but they involved us very early on in talking to folks like Bethesda and Gearbox and saying, 'Here's what we're doing, here's what we're planning, here's how we think it's going to work," to hear what we thought, from our tech guys and from an experience standpoint, what we thought." "You have to spend an unbelievable amount of time up front doing that," he continued. "If you're going to just sort of decide, 'Well, we're going to make a box and this is how it's going to work and you make games for it,' well, no. No is my answer. I'm going to focus on the other ones that better support what it is we're trying to do."